Allah (swt) bless you all for your visits on this blog. The Last Post say aap ki murad "Spiritual Era, Pakistan & The Awaited One (Secrets of Creation of Pakistan)" series ki last post hai ya Blog ki??? I spent a lot of good time on this blog giving hope to others and enjoying the comments. Now this blog will serve as a repository of glad tidings about future. Lastly never give up hope, change may take more time but finally it will be. It is written destiny of Pakistan. Why you have stopped writting in this blog. I loved your blog very much and I used to read every article of it. I am living in IL USA and spreading this message to my friends and family. There are lot of indians which do not believe it but it had already started. Mehdi (PBUH) had already came and he has started his work. He is in Islamabad Pakistan. Please tell me which blog you are starting next? @ Admin, if u plz don,t mind and tell us what is the reason to stop this activity, but so many of you readers like to continue this blog. if somebody whats to stay connected with with u how he can? IN THE END, WE APPRECIATE UR EFFORTS. "Pakistan ki haan aur naa mein aqwam-e-alam ke faislay huwa karain ge aur UNO koi qadam uthane se pehle Pakistan se pucha kare gi aur agar aesa na huwa to meri qabar (in my case my blog) par aa thookna"
My last comment in this last post. I'll appreciate Faqar-e-Ghayoor for running this blog. Jazak'Allah... You gave us hope for glorified future of Pakistan and tolerated criticism from some fellows. You not only allowed all type of comments but also remained neutral in all discussions. Your research and hard work is marvelous. Finding and reading these books was very difficult for us who have less knowledge about spirituality and literature of blessed Aulia Allah. I'll repeat faqar's statement... "InshaAllah one day people will understand the meanings of the posts and find the 'Awaited One' through signs mentioned in Ahadith-e-Mubarika and revealed by Auliya Allah"
but aik post mein un ki site ka link zaroor de diya :). I also learned a lot from your comments. My all prayers are with you. These are my last comments too. its a sad news that this blog would be no more functioning. i am visiting this blog for nearly a year now and developed a sense of belonging to some bloggers. can u tell me ur email address so i can keeep in touch in case i have some thing to shair. i am in liverpool for last 6 years and planning to go back home and start persuing my dreams to pave the way for 'change'. i believe we need some 'pagal' people to do this. my email is yasir_javaid5@yahoo.com. according to Hadith e Mubarika those two persons who meet and depart for the sake of ALLAH will be under the Blessings of ALLAH on a day when there is no one to give blessing except HIM. Thanks for the translation. I watch this event when it was happening but could not able to translate. JazakAllah. Indeed, Darood-e-Pak is the key for all our successes. Faqar Bhai, you have done a great job with this blog. You are a true soldier! May ALLAH bless you..
Want To Thank-You For Your Devotion Towards The Cause. Jazak Allah (swt) Khair. My brother in Islam, dear Faqar e Ghayoor, please leave your email or any other contact information should like minded ones wish to approach you may do so. Please all recite Darood Shareef countless times and pray for Ummat e Muhammadi S.A.A.W.W for forgiveness, blessings, victory (Maghfirat, Hidayat par amal karnay ki taufeeq, Rehmat o Barkat, Fatah wa Nusrat. P.S. This slave would like to speak with Faqar-e-Ghayoor upon his contact information furnished. Blessings your way. InshAllah, Nasrun Min Allahi Wa Fat'hun Kareeb !! My contact Information was this blog, whenever you need to speak with me, come on this blog and read the posts. that's enough. so that means no more issues after this post ????? Yes dear, No More Issues....!! This blog will serve as nice repository of info about Pak future now. Allah hum sub ka Haami-o-Nasir ho!! Thank you Faqar Sb. for hosting us all here so kindly, JazakAllah!! Special thanks to Baktre Noor Sb. too!! You are right. Sari ehmiyat Allah ke Deen ki hai. Pakistan husool-e-manzil ka aik zariya hai. Isi liye buzurg logon ne Pakistan ke liye duaen bhi keen aur qurbaniyan bhi deen. InshAllah acha waqt sub dekhain ge. ap ne waqaee bohat aala kaam kiya hey, islam aur pakistan ki khidmat ki hey, muslmano ko umeed dilai hey, ALLAH APKO AUR APKI FAMILY KO DONO JAHAAN ME AJR E AZEEM ATAA FARMAAYE, AAMEEN SUMMA AAMEEN. ab ap logo ko kya btaain gey, log khud hi apni aankho se dekh lain gey INSHA ALLAH . AB TO SAB KUCH LIVE HI DEKHNEY KA WAQAT AAN POHANCHA HEY . aur un k tamaam chhotey barey gunah muaaf farmaaye , aameen summa aameen. Brother Mujahid, Allah App ko bhi khush rakhe aur sehato tandrusti aur her naimat se nawaze. Bilkul InshaAllah sub log apni ankhon se dekhain ge. Aik na aik din ye sub lazmi hona hai. Hmmmmmm I am feeling compelled to say that You should not stop this endeavor ..i read some great stuff on this blog ,,and there is no hesitancy for me to say that THIS IS THE BEST BLOG i came across during my internet journey and the stuff u posted Invoked great passion in me lots of time...I wish you great of luck .....would u like to tell why are you stopping posting over here ..any reason .....ALLAH BLESS YOU AMEEN....c ya..
Dear, No specific reasons just feeling that I have 'posted' my heart out and told everything which should be revealed. Its enough hope otherwise people will make fun of spiritual things. As I know everything posted is true and going to be the future of Pakistan one day so I am satisfied with my effort. Its good time to shift my struggle and present it in some other way which I think, will be more beneficial for our country. I have been reading this blog for a long time but never commented.As this is the last post I want to thank you for the excellent work you have done.There were many in pakistan who believed in Pakistan and its destiny but could not talk about it due to lack of information and knowledge But yo gave us the tools to spread this message and work for the country.You made us love our Prophet (Peace Be Upon Him),you taught us the real essence of Islam that is to love Prohet (Peace Be Upon Him) and ALLAH (The Almighty). InshAllah we will strive to be a better Pakistani and Ummati.We will never leave this country whatever happens.We will always fight for our Prophet (Peace Be Upon Him) and Pakistan.We icrease our Iman/spirituality and worldy skill so we may be able to fight for Prophet (Peace Be Upon Him). Faqar-e-Ghayoor InshAllah we will meet one day! "Salala hoo ala habeebi he Muhammdin, wa aali hee wa ashabihe wasalam"
Its my promise I will not leave this country whatever the situation may be. This is Pak Sarzameen. Islam ki nishat-e-sania ka aghaz yaheen se hona hai. Bad time on country is the sign of that good time. JazakAllah for your anonymous presence on this blog for such a long time. May Allah reward you for all the hard work for a better cause. O hope time by time you'll keep adding some new information. What are your future plans any other blog? 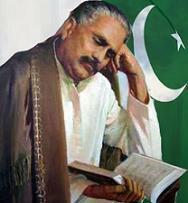 Future plans, first i will complete Iqbal Urdu blog in next month or so.....a lot of work is pending on that blog. Then may be I just put some old biographies of Saints in another blog as I have a huge collection of such short biographies......Its good time make them online but its very long project. Lets see what happens. Please provide us with full list of your all blogs. Jazak Allah, Bus ye meri aik adna si koshish thi mayoosi mein ghire huwe logon ko umeed dilane ki. Na sirf ye k mein apne maqsad mein kaamyaab raha bulke mein ne khud bhi bohat kuch learn liya. 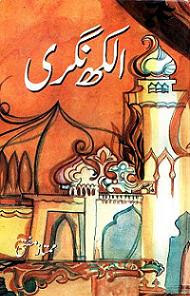 Shaid mein ne itni books sari zindagi nahin parheen jitni last derh saal mein perheen. Ye sub Allah ka fazal tha warna mein ksi qabil nahin. Believe me, bohat dafa mujhe khud feel huwa k ye kaam mujh se karawaya ja raha. I am satisfied today that I've performed my duty very well. JazakALLAH o khair habibi. Thanks for educating us. 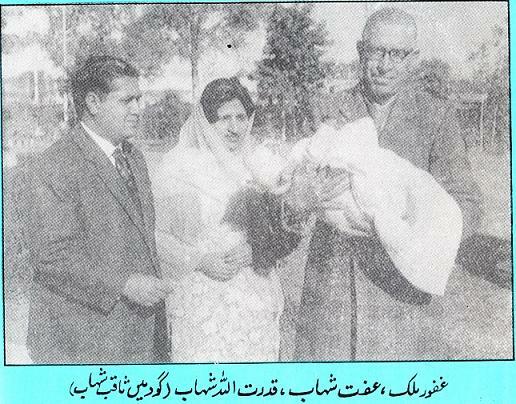 My request to all, as I believe, true Muslims and Pakistanis visit this blog, please be sincere to ALLAH, only then you can be sincere to yourself and your brothers and sisters in faith and to your nation. DO NOT miss your fraiz, wajibaat, zikr azkar, be in wudu all the time, recite QURAN every day and try to dunerstand what ALLAH is saying to you (sorry for overdozing). When you reach there, then there is a short verse in QURAN, "LA TAHZAN, INNALLAHA MA'AANA, DONT BE SAD, ALLAH IS WITH US. There is a big reason why this blog was initiated in these times+ Zaid Hamid (brasstacks, takbeere musalsal etc), + Pakistan Cyber Force, to me these are preparations for the near future and also ALLAH is making HIS HUJJAT itmam, just be patient. Syria and Afghanistan are two burning points for the END OF TIMES. I have no doubt about the dominance and future of Pakistan and Islam which is one and the same thing. That is the reason why many people ask me, why are you Paksitanis so patriotic? We are patriotic because we love our Holy Prophet , MUHAMMAD (SAWW). There are many Ghazi ilm dins, Awais Qadris and Amir cheemas among us alhamdolilALLAH, nisbataiy Muhammadi, (SAWW). and a gift for my brothers and sisters on this blessed site in this blessed month, this darud shareef is a GEM, make it your habit, its an infinite darood shareef. I am really grateful to you for your precious thought provoking comment. Allah bless you and other Muslim brothers & sisters. We should recite Durood Shareef as much as possible. This is key to our success. You know, people are given to believe everything you say, it is just that the key to know it is 'sabr'! But then again, one cant have sabr when he doesnt have Emaan! My heart is so heavy to see you leaving this mehfil! Sitara e Shaam ban kay aya barang e khawab e sahar gaya who..."
I know you will be venturing out for new projects because "hazar rastay hain ehle dil kay". 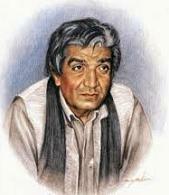 Shayad yeh ghazal Nasir Kazmi nay aap kay leay hi kahi thi! JazakAllah Khair for every word you wrote. I got a lot of inspiration from you. Iss blog ke liye App ki Khidmaat naqabal-e-faramosh hain. All the Urdu and English translations which did was just superb and those posts will always remind the people about your excellent work. I myself is really impressed by your knowledge, writing and love. You are true soldier of Islam. Allah App par aur app ke tamam ghar walon par apni rehmat nazil farmaye. don't know how much good you spread, sometimes when i'm down i just read your blog,I feel energetic. Even when I lost my job i always try to read any thing especially this blog.I know you've made up your mind but it is still my humble request to please continue you inspirational work. May Allah bless you. First pls don't get worried about Job, just keep putting your efforts and you are at right side. Sometimes mushkil, dukh aur takleef mein faida hota hai jo zahiri ankh se nazar nahin ata. Actually I have made up my mind to do something different...!! Jazak Allah Dear Umar, Me too thankful to you for reading this spiritual stuff. I never wrote any comments but thos blog was a part of my routine. One awesome thing was that besides the posts, there were references and links of books given. The authors were mentioned and introduced. I got the chance to read many books simply because i learnt about them.while reading this blog. 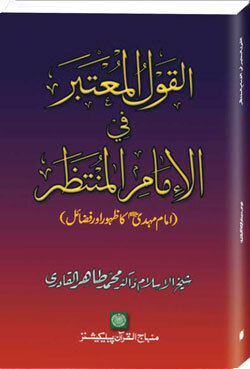 'ziyarat e nabi sm bahalat e badari', 'wafa ka kaba' and a few other books are on my shelf simply because of this blog. Faqr bhai, i have one request to make. Is there any way you can keep on recommending such books to.us. Or atleast list all the books you.had to read inorder to make these posts. We can revisit old posts to remind us of the books too. But if in future, you.come across such books, please share.them on the blog. Dont make a post if you don't want to but share books. Please if u.can do that. 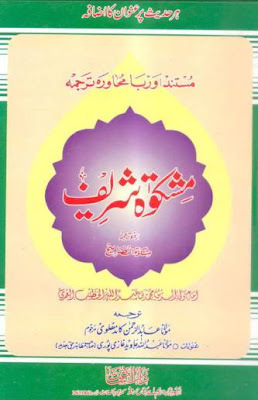 Further I will recommend pls keep visiting the book libraries you find on internet and read every type of book for knowledge but judge everything on Quran o Hadith and also keep reading books of our spiritual forefathers like Ghaus-e-Azam (r.a.), Rumi (r.a), Allama Iqbal (r.a.) and other Auliya's work. I was a regular reader of your blog. It is sad that you r closing it. May Allah bless you. mashAllah you did an excellent job with this blog. your posts have given hope to people in these trouble times. Allah will protect Pakistan from all evil and Nishat-e-Sania of Islam will happen in our lives inshAllah. All we have to do is to ignite Ishq-e-Rusool (Sallalaho Alehe Wasalam) in our hearts and then after that... "Ye Jahan Cheez Hai Kya Loh-o-Qalam Terey Hain"
i wish you best of luck for your future plans. Abhi Ishq Ke Imtihan Aur Bhi Hain! yes one part of my endeavor is done but still a huge responsibility is upon me, duty to serve my country because i love those blessed personalities who laid the foundations of this country. I want to be in company of them in day of judgement. One Question Faqr ....will your Spiritual Pakistan Email be active or you will not be available on that any further ??? SalAllah o Ala Habeebi hi Muhammadin, wa Aalihi wa Ashabihi WaSallam ! MashaAllah great comment. Many things here, first my email will be active but I may not be able to reply the emails now. very rarely i will check that and leave it finally. 2ndly JazakAllah whatever you said about blog, I know you are one of those who are reading not only the posts but meanings also :) You are blessed one, i guarantee you. Baqi Allah ke raaz Allah hi jane. Jo cheez Allah (swt) ne parde mein rakhi ho bhala hum kon hote hain uss par se parda uthane wale. Jab Allah chahe ga haqiqat samne aa jaye gi Allah ke Hukm se jaise Hazrat Yunus (as) machli ke paet se, Hazrat Ibrahim (as) aag mein se, Hazrat Yusuf (as) koonwen se aur Hazrat Musa (as) jadugaron ke jhoot aur faraib se bahir aa gaye thay. Ye sub Allah ki raza se huwa. Allah ne sirf ye dekhna tha k banda Aaqa ki ma'arfat rakhta hai ya nahin. Humain to bus yehi dars diya gya k mushkil waqt mein sabr karain aur Allah (swt) ki pehchan hasil karain. When one thing ends new works starts. I visit sheikh kamaluddin (lums fame) tafseer and maximum are young 80 percent. JazakAllah very hopeful foreseeing comment dear Faisal. you really opened many new ways of learning. 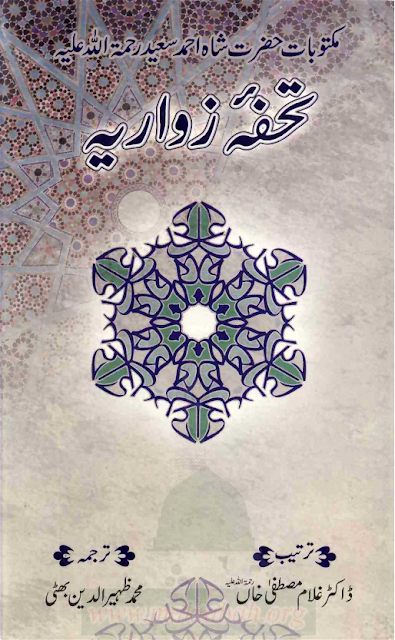 Please visit remaining parts at youtube, similarly free Farsi learning course is available. Dear Faisal, above links are gifts from me to your birthday. Faqar Bhai Jan aaj meri ankhon mein aanson hain...mein to diyaar-e-ghair main aap kay is blog ko parh bohat purjosh hojata tha...mera yahan par apna to koi nahi hay...rozi kamanay nikla tha...or yahin reh gaya lakin main aik din wapis zaroor jaonga...mera dil yeh kehta hay kay woh saari batain jo mujh jaisay aam banday nay yahan say seekhin hain woh saari zindagi meray kaam ayaingi...main hay namaz main aapkay or un sub logon kay liyay jo is blog pay aatain hain dua karta hon or karta rahonga...pata nahi aik undekha sa rishta hogaya hain in sub logon say...Faqar Bhai Jan aapko Allah Jazai-e-Khair dey...kaash saray humwatan aapki tarah hojayain. App khush naseeb hain k aap Pakistani hain. Dunya jo merzi kahe magar meri ye akhri baatain humesha yaad rakhain. App ka ye mulk hi aik din kufr ke samne khara ho jaye ga. Ye wo sher (lion) hai jis ke bare mein Allama Iqbal ne kaha tha k suna hai qudsiyon se mein ne wo sher phir hoshayar ho ga. Pakistan ki takhleeq mein Allah ki khas hikmat hai. Aaj kal jo buray halaat hain ye bhi aik din khatam ho jaen ge aur phir wo Allah ka bheja huwa naik banda Pakistan par hukumat kare ga. Aap ne just uss waqt ka intizar karna hai aur mehnat aur imandari se apna kaam karna hai. Time ziada door nahin hai, achanak change ani hai......!! Faqar bhai..how would we know about ur new project? Kindly devise a mechanism so that everyone know about your future projects. InshaAllah whole Pakistan will be part of new projects once that real project director comes on stage :) Just wait for that time. Last post????? Faqar bhai please iss blog ko band na karain. Agar aap masrofyat ke waja se iss ko time na day sakain to filwaqt iss blog par temporarily post karna band kar dain laikin iss blog ko mukamal band na karain. Meray khyal se ye sab readers ke raiy hai. Iss blog par jitni zar o jawahir ke anmol moti bikhray hoiy hain ye aik qeemti khazana hai. Allah iss ka aap ko ajar day aur mazeed mulk o millat ke liay kaam karnay ke tofeeq ata farmay! Amin. Aap ne beshak mayosyon mai ghiray hoiy ahle watan ko ummeed ka paigham diya. Aajkal jiss se bhe mulk ke halat par raiy talab karo to sab he mayoos dikhay datay hain. aisay waqt mai aap ney ahle watan ko mayosyon ke gharay se nikalnay ke liay Aulia Allah aur buzargan ke peshkhabrayan day kar aik azeem kaam kia hai. Ham log apnay dunyawi masrofyat ke waja se shaid kabhe bhe inn khushkhabrayon ko na jaan patay agar aap ne itni mehnat na ke hoti. Iss ke liay mai teh e dil se aap ka shukarguzar houn. Iss blog mai na janay kia khass baat hai ke ham logo ko iss se aur aap se dilli lagao paida howa. ye meray dilli khayalat thay baqi jesay aap munasib samjahin aap ke marzi. MashAllah app ka comment parh kar mujhe ehsaas huwa k becharna kitna mushkil kaam hai. Ye sach hai k mein ne iss blog par bohat mehnat ki magar ye sub Allah ka Fazal o Karam tha warna mein iss qabil nahin tha. Allah ne bohat madad ki meri, iss blog ka aik faida jo mujhe huwa k mera Allah se aik taluq qaeem ho gya. Allah bohat meherban hai 70 maa'on se bhi ziada meherban hai. mein ne ye baat practically dekhi. THAT'S MEAN THE CHANGE IS VERY NEAR AND YOU HAVE DONE YOUR JOB SO YOU ARE GOING. BEST OF LUCK BROTHER . Yes very near, pls don't worry if it takes some more months. Process has begin, we must wait now as there is no other option. Dear Faqr Bhai and rest. I have been following this post for a while and its part of my daily routine to visit this blog. Feeling really sad to know you are going. It was a great inspirational source for all of us. Lastly you did a great work, keep it up. Look how people love you even they have not met you. May Allah bless you and your family along with all readers of this blog. May Allah choose all of us to serve Pakistan and Islam. May Allah make us the way Allah want us to see. Keep praying for all Muslim Ummah and keep helping each other. As Faraz said "Shikwa e Zulmat e Shab Se Tu Behtar Tha, Apnee Hisee Ki Shama Jala ay Jate"
Do remember me and my family in your prayer too. May Allah take some work from us. I am Pakistani, living in Italy. I have much love for my country. But I was unhappy about the future of Pakistan. One day I googled about future of Pakistan and I got your blog. I am visiting regularly this blog from 1 year and I am quite happy about future of Pakistan just because of this blog. MashAllah You have done great job I am speechless about your effort. Brother if something special going to happen near future about Pakistan who will share any news or khushkhabri? Because this blog was source of these kinds of news or columns. Mashallah you shared much khushkhabrian! InshaAllah you will hear khushkhabri from every corner once the time will arrive. Faqar bhai u have done a great job. Good Luck for every thing u ever wana do and JAZAK a ALLAH. thanks brother :) Meri paas duaen hain ap sub ke liye. Allah sub ko Pakistan ke ache din dikhaye. Thanks for sending salaam, My all prayers are also with you. Sada khush rahain. JazakAllah very good suggestion, well dear there are so many book libraries available online. I myself get books from those sites. like sites of marfat.com, mohrasharif.com, maktabah.org, faqeer.org, alamaat.com , and there are so many other good sites on spiritual books. 2.Will you update about your future project on this blog? and one more thing I want to say that You made me love My RASOOL ALLAH (Sallalaho Alehe Wasalam) and for that I want to thank you with all my heart.May ALLAH reward you! I started the blog after seeing the signs of real change which are so clear now. I thought, I should told these things to my Pakistani brothers and sisters. Yes if will start new blog i will give update on these blogs but may be after few months now. Brother I am so glad if due to me you found new meanings to your life. JazakAllah Khair Humain ziada se ziada Durood Sharif parhna chahye. Tamam buzrgon ne iss ki takeed ki hai. Mein khud bhi koshish karta hun k iss baat par lazmi amal karun. May Allah bless you for all your good deeds. ALLAH TALA aapko kamyaab o kamran kare wakai DUROOD PAAK ki boht fazeelat hai jo is par mazbooi se kaarband rehta hai ALLAH TALA ki rehmat ki hawaaye us par chalti hai..
aap jah rahey wah PAKISTAN ka mission aapke saath ho. jazakallaha bhai ,it was amazing n so positive blog which always cheered me up.i came to this blog by a chance and it filled my heart with sukoon n hopes.i am really happy for the work you did mashallaha and wish you good luck in ur further plans inshallaha. one thing which i gained from this blog was the knowledge of the fact that our beloved hazoor e pak is so close to every muslim n so concerned too. if only we call him with yaqeen n passion. allahuma sille ala saeedyna wa molana muhammadin! Pray for me all, i will part of his team if found him in my life Insha Allah. My heart goes out to all those who are in Pak and abroad, struggling (however they can in their capacities) for their country. Faqr, you are one living example here. Thank you for rekindling hope. We are all struggling on collective and indivdual levels; some more than others; may Allah forgive us all for He is most merciful and bless us with peace and guidance in this world and the next. Ameen. Brother, study ke liye chale jaen magar permanent migrate na karain. Pakistan se rabta zaroor rakhain. Maqsad to Pakistan ko serve karna hai app jahan bhi chale jaen Pakistan ke liye zaroor kuch na kuch karte rahain. well thanks brother faqar for ur kind efforts for ummah....my dua's are with u...thrs one question.. I love every city of Pakistan my homeland everywhere. I am from whole Pakistan. shortcut to koi nahin bus sincere effort chahye. InshaAllah app ko bhi sub mil jaye. Asal kaam to sidhe raste par chalte jana hai. Faqar Bhai, I pray for your long healthy life and may ALLAH grant you lots of reward for running this blog - aameen. Will there not be any more post in this blog? since long time i had been luring myself with this illusion about future glory of pakistan. but ground realities prevailing since creation of pak totally negate what is being predicted. we have become a nation living in dreams and to forget the harsh realities we compensate our deprivation with hopes while in real world pak stands the most humiliated country with a collapsed system dominated by handful of decoits. its not just the elites, as a nation in general we are diplorable dishonest incapable distrustful and mean. our national character is embarassing. while we are not capable of making our own decisions we are predicting to lead the world. we are dreaming to eradicate kufar, infact we are cutting eachothers throats killing in name of religion sect language and race. for Gods sake stop spreading this illusion, stop waiting for angels to intervene. unless we ammend ourselves no devine illusionary leader will come to make this mess right for us..
Bro disappointed, You are right to some extent by explaining the picture of Pakistani nation but you are ignoring some other facts. I just give you one example. Who defeated Russia in Afghan soil when their next target was Pakistan. Dont tell me Americans did. No doubt they supplied arms & $$ but who planned and who fought for this. Why Pakistan got the nuclear power when there are so many better countries according to you. Why Pakistan was given by Allah so much technology that they make their own weapons including tanks, fighter planes & missiles. The nation has ignored teachings of Islam but believe me soon they repent they will be in power In shaa Allah. This is not an illusion. The current situation of Pakistan and future was predicted by Wali-ul-Allah. This is not a joke. You believe it or not, does not matter. Infidels plans and Allah also plans, and best of planner is Allah. And as always Allah knows best. iss mulk mai kuch bhe nahi badlay ga. zardari aur oss ka tola next 5 saal ke liay phir pakistan par qabiz rahingay. Khuda oss kom ke halat kabhe nahi badalta na ho khyal jiss ko apni halat ke badalnay ka. Bakyar e noor ne 14 august kay baray kia kaha tha? @ admin, since july 22 u r quit, what happened? is everything ok.
sad to see the forum has been closed. I thought we will in touch all the way until the time actually arrived. janab koi aisi sorat hosakti hai ke main aap se intouvh reh sakon? via email ?. mujhe buhut khushi hogi agar aap mujhe email karain take contact baqi rahey. global advancements or discussion ke liye mere par yehi ek source tha jo ab band hogaya hai. I hope bro Baktar will contact you. Jazakallah for your efforts. Aapki tareef mai bohat kuch kaha gaya but phir bhi aapki mehnat in tareefon se barh k hai. Bohat khushi hai mjhe k aap se baat karne ka mauqa mjhe mila is blog k through..
InshaAllah ye mehnat aik din zaroor rang laye gi aur woh waqt aa hi jaye ga jis ka sub ko intizar hai. Meri taraf say aap sub logon ko dili EID Mubarak. This is a excellent blog for a brilliant country. Thank you so much. I read your articles. and I think you should be awarded for your research. For last few months I was also trying to find out more about your nation. I found out that Hazrat Ali loved Sind. He sent his envoys there. His son Imam Hussain also wanted to go to Pakistan, which was then known as Hind. But he was stopped and killed by King Yazid in 680 CE. It is clear from ancient texts of many religions that Pakistan is a very holy place. Bible also has clues about this land. There is something sacred about Pakistan. It seems Allah has special plan for whole of subcontinent. Maybe it will become one and completely Islamic in the near future. If you read Hadith carefully. you will notice that Holy Prophet predicted the coming of a powerful man, Mahdi the Messiah. In those reports of the Holy Prophet are clues about Pakistan, the Land of the Believers. YAAR KHUDA KAY LIYE KOI TO POST BHEJO. dear owner when we become addict of this site you close this blog . this is not fair. you have to start the blog again. if you find difficulty in searching material we will search 4 u. this is request plz continue the blog this is our last hope. dont leave us alone. future of pakistan jaesa koi blog hae na hoga .....................Allah sae dua hae taqayamat pakistan salamat rahae ameen to future of pakistan keyon agae nahi jasakta ???????????????????????? Is main koe shaak nahe kay is web site ke aadat se ho gae the but Faqar-e-Ghayoor Sahab bhe kha karain... Itna kuch web site paar publish honay ke bavajood Ummat e Muslima soe hoe haay. Hum sirf web site paar ke he khush ho jaatay hain kay chalo kuch to hoga. Baas hamara kaam achay waqt ka intizar karna rah gaya hay same as BAANI ISRAEL... jo karna hay MUSA ya MUSA ka Khuda karay hum kuch nahe kar saktay. It is extremely disappointing to see this blog close, I wish it was not so. But thank you for sharing with us the hope that has allowed us to breathe in this darkness. To all my fellow Muslims and Pakistanis, just a little more wait, and then we will get the chance of a lifetime, to build and fight for Islam and Pakistan. InshaAllah. A bloody cleanup is just around the corner and decades of filth is about to washed in seas of blood. Just watch. We will not give any further details but greatest of khair is coming, though the price would be high in sacrifice but it will definitely clean the filth for good,syed zaid hamid InshAllah. all the last comments of annonymous people were soo good . And our forces will go to Jerusalem to fight against Dajjal in the leadership of Imam Mehdi. Why the blog has shutdown? Is there some personal issues with the owner or some other reason? You may not be keen to publish anything anti-pakistan, which is fair, but not many people including pakistanis see the islamic rule in the subcontinent as entirely free of blemish. Pakistan's pride of your islamic legacy is understandable, but I sincerely ask you to compare this attitude to the average pom with his dreams of imperial britain, it was a nightmare for everyone else including both hindus and muslims. Anyway, i digress... So the Israel Lobby's at it again with this latest low budget flick about the muslim prophet, who would have predicted that Netanyahoo and his filth would stage an anti-muslim provocation to undermine Obama's re-election? Not your average tea party buffoon. By the way, how come the US consulate in Libya (of all places) is not a fortress guarded by green berets, navy seals etc? Or was security here contracted to, say, perhaps, an isreali affiliated contractor? 2013 to 2015 keyon chor deya?????????? Peace, this is my first post. I do appreciate the effort placed into making this blog site a repository of a very specific thematic discussion. Also want to thank you for putting the english translation wherever it is available. I hope in the future some of the books can be translated into English so that the subject is accessible to Muslims who cannot read Urdu and can be equipped with the right knowlege about this phase and have hope. no updates for a long time? aoo sab mill k faqar sy request karain? Dear Faqar-e-Ghayoor, at least let us know what your upto and planning next? Dont be irresponsive 1954365 page views demand satisfactory answers from your end. Hope every visitor to this blog agrees with me. kion band kar diya ye blog kiya aap jaan gaey thay k kuch badalnay nahin wala iss waja se ab to comments pur bhi reply nahin aata.why did u even start it if u had to close it this way? Faqar Bhai apna project complete kar kay chalay gaay. Project yah nahe tha kay hum ko intizar ke raah deekha kaar betha dain BALKAY hum ko jagana tha. Laikim shahyad woh is main completely successful nahe hoaay kyon kay WE ARE STILL WAITING SOMEONE WHO WILL DO THAT JOB..... guys think about it otherwise we all will be slaughter one by one. bhai aap pls isye dubara open kare this is our request .. agar aap hi himmat haar jaayenge to aapke followers ka kiya hoga umeed par duniya qaaim hai aur jo likha hai woh to pura hona hai aur woh time to intihaayi qareeb aa chuka hai abhi aapki boht zuroorat hai..ajaaey wapis..
yaar aap log 10 ya us se bhi pehle se yehi sab keh rahain hain ke halat badlain ge, ye hojaye ga, wo hojaye ga. hona kuch bhi nahi hai, sab kuch aise hi chalta rahe ga. ek chor jaye ga dosra ajaye ga.
asal baat yeh hai ke pakistan ki qom hi badbakht hai. yeh qom chahti hi nahi ke koi imaandaar hukamraan aye kion ke qom khud chor hai. is qom se badmashian, zina, raqs-o-surood, ghaibat, corruption, etc sab karwaloo , yeh khushi se karain ge. yehi waja hai ke har baar is qom ko lootnay ke liye chor naam badal kar ajaate hain. @ kion ke qom khud chor hai. aik muslman ki jan ALLAH ki rah me ALLAH K DUSHMANO SE LARTEY HUWEY CHALI JAYE TO YAQINAN WO MUSLMAN BARA HI KHUSH NASIB HEY, JiS KO ALLAH PAAK NE SHAHAADAT SE SARFRAZ FARMAYA. I hope you all are fine by the grace of Allah SWT. Look what i have bumped into. A fantastic blog, one of the most patriotic and proud pieces of resistance on net. Read and enjoy. The activation of this approval system suggests that you are still around! aren't you? By the way, it is after a looooooong time that i have contributed on the blog. I found that article link which i've mentioned in above comment. Marhaba Dear Faqar, i could feel your presence around but never thought i would be fortunate enough to get your reply so soon...Allahu Akbar!! Yes, i am keenly following the situation, things are going down hill in every sphere of life. As i go thru your post, i strongly feel the weight in your arguments and am thinking on same lines now. The way politics is going on these days, it does point towards a chaotic and bloody election ahead and no one is really sure if anything fruitful will come out of it for the country cause traitors, terrorists, degenerates and opportunists have upped the ante. Only Allah knows best. Patriots must also take a note of how the situation is rapidly changing on our eastern border. With the passing of every day, the brahmin lords perpetrate some act of provocation, reminding us who we really are and who we are up against. But this time it appears to be serious. As crusader armies appear to flee from Afghanistan, they need someone to engage Pakistan nevertheless. Can there be really war? it is hard to fathom for now. But due consideration should be given to mental and spiritual preparation if not material. Tawaso bil Haq and twaso bis'sabr should continue with a vigour. Our respective circles of friends should be retouched/reactivated. May Allah SWT help us keep the spiritual vigil intact and robust, may we not falter in the least. Ameen sum Ameen. I would suggest to the patriots here to share/report anything significant to the like minded circle of their friends so as to keep them 'bedaar' and aware. We should keep track of events in and outside our homeland, especially those which concern Islam and Muslims. Face Book and emails could be utilized for the purpose as much as possible. InshaAllah i will be posting links to the articles/news items which we need to know on our blog for all to access and arm themselves with the knowledge. The onslaught of enemies is thunderous in these particular days, we must have something to defend and counterattack. Faqar Bhai, i am sure that it is not only me who is joyous beyond belief after seeing you return to the blog but all who are reading your words! Please do bless us from time to time with your 'zyarat'!! If you allow us we can text halwa and daig to your 'aastana' as 'nazrana'....to make you throw a 'nigah e shafqat' on your mureeds who are mehv e istaghraq in this dera of yours for a long time...! ;) Aji suntay ho hazrat jee! May Allah SWT bless you and your loved ones and the ones who are with you. Ameen sum Ameen. Keep in touch. Pls visit this. I'll try to send him good links whenever i see such interesting info. Another thing I found the picture and some book extracts of a very patriotic astrologer Ghazi Munajim. He mostly wrote about Pakistan future. A bother told me he passed away last year. InshaAllah I will add these extracts in the post of 01 December 2011 which is related to Ghazi Munajim. Brother Baktar, pls keep sharing the info and links....!!! Welcome brother faqar. :) Its so nice to see you after a long time. The blog shared by brother Faqar-e-Ghayoor is my blog. Your contribution is also required in the form of articles and other stuff. May Almighty ALLAH bless us so that we will be able to see that true Islamic Govt. of Pakistan. me isi mansubey k barey me soch raha tha, aur bohat ghor k baad mujey kuch esi batain malom hui k socha ap se bhi share karu. jis trah Lahore me metro bus system aya hey agar kisi ko jama tafreeq ati hey to wo khud andaza laga sakta hey k is project se rozana kitney laakh rupey kamaye ja saktey hain, aur after months kitney karor , etc. Good to see your comments on the blog again. Very revealing insights but of course the "exact" time of events is known to ALLAH only. I wish to share a few insights on Pakistan as well. These are just reminders but still give us hope. There is this hadith about the death of a king. Other versions of the hadith give the name Abdullah to that king. King Abdullah of Saudi Arabia is now nearly 90 years old. I am expecting him to die very soon. March 2013? Following that the Saudi royal family will start fighting internally leading to much chaos. 2014 should see the arrival of Imam Mahdi. Signs of change are apparing on horizon. The decision of Almighty ALLAH will be soon announced. jisay dekh kr sb heraan reh jain gy. But election hotay nazar nhi a rhy. As predicted by Syed Sarfraz Shah that elections will be held in 2015. According to my little knowledge jb caretaker govt. sb politicians sy loota hua maal wasool krna start kry gi then president sahab bahir chalay jain gy aur wapis nhi aen gy. ALLAH knows well k kb kya ho ga. Indeed bro...no doubt about it! JazaakALLAH brothers Faqar & Baktar...it's just a humble effort and it's no doubt that I have learnt about the spiritual dimension of Pakistan and about writers like Wasif Ali Wasif (ra) etc. only from this blog. Otherwise, I started my activism with an email group with messages on Islam some years ago and in between also worked as Sub-Editor in THE NATION, in the magazine section (2008), which helped me organize matter in the form of articles better. In 2009 when I was working in an IT firm as Senior Content Writer, I purchased a domain "Together We Rise" www.togetherwerise.pk to start my own blog. Then there were not any free blogs available. However, due to some personal reasons I could not launch it and the blog expired after one year, as I did not renew payment. We are brought up on a mix of eastern and western values, but efforts like your blog can bring many people back to their own roots. However, we should continue picking positive things from the West side by side while shunning those values which are in contradiction with our religion. Our main source should be Qur'an and Hadith, and I am only saying this here because I see some of the youth confused between reading too much Iqbal before trying to read the translation of Qur'an itself. They think to read Iqbal is sufficient to understand Islam. Such youngsters need to first ponder over the meanings of Qur'anic verses or seek help from gifted scholars. Reading articles/books of Islamic scholars or listening to their lectures is also good, which is what has helped me also. Brother Faqar, these lines are only for youth, not for people like you who are MashaALLAH already on the path to enlightenment not to forget brother Baktar. Just today, in a meeting with someone in an office, an old religious man also came. He said also that conflict with India is close but ALLAH knows best! I only think we need to equip ourselves with Survival Techniques for common citizens in any case, and we should better research on good ideas. I am starting work on it seriously as no country in the world is safe from war, and it is only wise to plan for any unprecedented event beforehand. Any help in this regard is most welcome! What you say about entry of Tahir-ul-Qadri on stage? A very patriotic astrologer Ghazi Munajim died in Nov. 2012. I got his book one year ago from a book shop unexpectedly while i was searching something else. I couldn't post anything from that book because readers of this blog criticized me on posting Ghazi Munajim's predictions on 01 December 2011 post. Personally I have no interest in astrology but after reading Ghazi Munajim's Book I am surprised and think Ghazi Munajim was not just astrologist, he must have knowledge of something else that's why Mumtaz Mufti Sahib mentioned him in Alakh Nagri. After listening the news of his death at the age of 90 and reading that book again, I thought to comment here and posting his picture and some pages from his book 'Ghazi Hazar Paishangoiyan aur Mashware' in the post of 01 December 2011 at least to remember that great patriot who was great defender of Pakistan. Book contains 1000 predictions which Ghazi sahib did from 1968 to 2004. He wrote 85 letters to Indian Leaders (President, PM etc) and warned them that astrologically Dehli will be captured by Pakistan one day and told them the spiritual importance of Pakistan. More than 50 letters he sent to others rulers of world. Book has 250 pages full of surprising things. He also made Zaaeche of 26 poets and intellectuals including Q U Shahab and Ashfaq Ahmed and others. He was great defender of Pakistan army and supported Zia ul Haq. 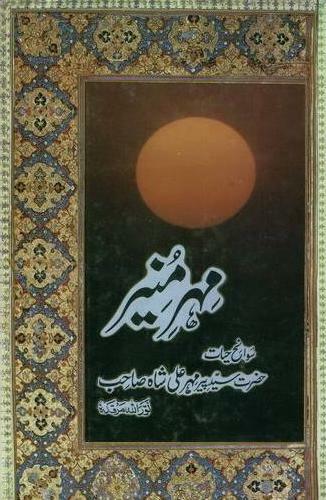 He was also very active against qadianis and book contains many pages in which he challenged qadiani scholars. I pay tribute to this brave soldier of Pakistan who challenged the enemies of Pakistan. 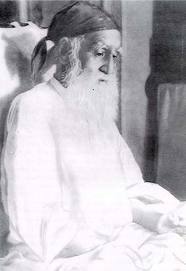 His famous declaration was: 'An enemy of Pakistan can not escape from God's punishment'. He advised to implement Islamic System in Pakistan and also predicted one day it will happen. He named the awaited leader as 'Shah Khawar' who will change the destiny of Pakistan. He told many signs of awaited one. There are so many strange things in the book which i can't write and book is huge to scan. Many of his predictions came true and some went wrong. For me what he said about Pakistan is more important. Please read this post again I have added some pages from that book. You know Faqar, it is unintelligible that how a series of coincidences make us startle when we observe the links between them! I have been in contact with one such person who 'knows something', and while reading your comments right now and the predictions of Ghazi Munajjam he called and asked what is going on on internet, pointing towards you and this blog! He is the one who is among a few of those who have insight into spiritual matters, especially concerning end times and Pakistan. Perhaps, these are not coincidences at all but pieces of information, but like a riddle Dan Brown likes to present to his readers... :) and they gradually unfold when nearing the climax! Do you remember i had mentioned on the blog that the 'awaited one' will be from Punjab? and many of our sincere and good readers/followers found it hard to digest. Well it was hard for myself to digest at first, clues in the riddle(s) pointed towards it. It sort of forced me to look into that direction, i couldn't believe it at first, much of the olden scholastic traditions were opposite to it (or were they really?). But there it was, like an undeniable challenge, and with every passing day this conclusion cemented itself in my heart. Then tonight i opened the link you have given above and Voilà!! A coincidence? Now, i dont think so. The 'knowledgeable' knew it generations ago! We are fortunate enough to be taken on board on it. I firmly believe that whosoever is loyal to Pakistan despite facing hardships and injustice is a blessed soul indeed and will be rewarded in the hereafter if not in this lifetime. For patriots the best reward bestowed upon them is none other than seeing their beloved homeland prosper and honoured. The 'knowledgeable' knew it generations ago! We are fortunate enough to be taken on board on it. What is happening on the ground? needless to say that it is pretty much confusing. But then again, there is a pattern and much of what you have already observed (as mentioned in your comments) appears to be the case. It really does appear that stake holders/planners want elections to be stalled or cancelled altogether. To what end? maybe to sow more discontent, anarchy, uncertainty and insecurity among the masses, fulled by thunderous waves upon waves of terrorism and urban strife. The local agents/traitors/provocateurs of known foreign powers will be the tool as usual and maybe full or small scale invasion or incursion into our land and marine territories from almost all sides; leaving the one with China. By no means it is a prediction, but merely a thought. I sure hope it turns out to be completely wrong and all things go smoothly., i.e. impartial and fair elections and patriot, honest, Islamic minded Pakistanis come to power..right! Well lets just see. As far as tahir ul qadri is concerned, i am sure many upon many on this forum are his fans with whom i don't want to get into any harangue. It is just that i have never trusted the fellow and never will. I clearly remember that the issue of Articles 62, 63 was forcefully voiced by late mohtaram Qazi Hussain Ahmed sb and his party many years ago before the advent of elections (i even remember the wall chalkings around my city), but i don't recall allama sb to support this call on any such occasion, so this issue is nothing new, but just to delay the elections, i believe. Successive musical chairs went on for decades but allama was content without raising concern over ever present 62, 63 so why now suddenly? Dears, i really am sorry if i have hurt anyone's feelings with these comments, this was never my intention. Now back to Ghazi Munajjam, he says Pakistan will be the centre of spiritual forces, agreed. It is so, and i have informed you thru my emails about the same. These very days, strife and unrest in the spiritual world is immense (i would explain later). All negative spiritual forces are targeting Pakistan for a long time but especially for the last two years and the frustration of those forces are reaching peak levels in current days, it is told that they are fighting suicidal battles to stop 'something from happening'. Lekin honi ko kon rok saka hai? If it is the will of Allah SWT then it will come to pass on the right moment despite us accepting or rejecting it! By the way, have you noticed something out of the blue happening around the world, something strange or unheard of, some incident? pakistan me media aur internet samait aik esa waqt bhi araha hey jab ap ka blog sirf pakistan me nahi dekha jasakta. 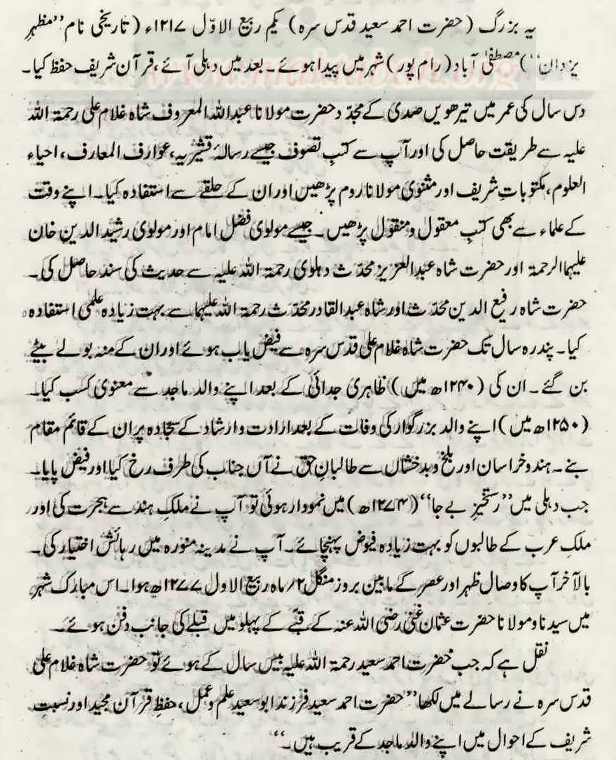 Read this article about Ghazwa-e-Hind. 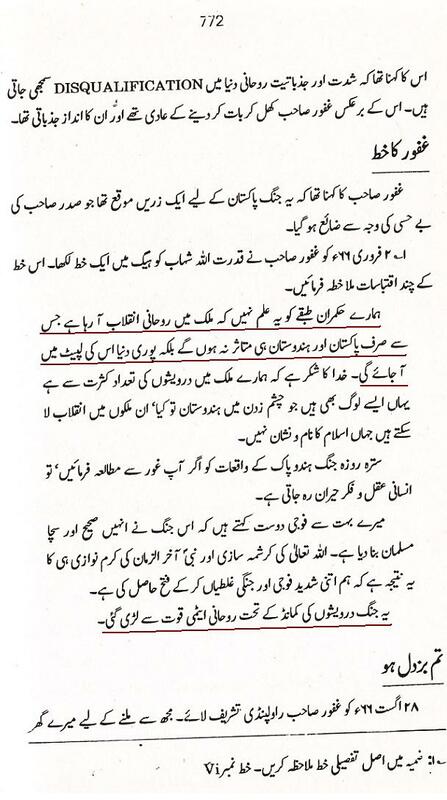 As Ameer Akram Awan said in 2001 that American attack on Afghanistan will initiate Ghazwa-e-Hind. If we see current situation then we can say that this Ghazwa is very near. Tense situation on Line of Control, Pak-Iran Gas Pipeline, China in Gawadar, etc. All these events indicate that sooner or later America will give order to India to launch an attack on AJK. According to Ameer Akram Awan, this will be the starting point of Ghazwa-e-Hind. In my opinion, entry of Tahir-ul-Qadri is already planned. In order to delay elections in the country, he has come to Pakistan at this stage. Do you remember rise of Imran Khan at the end of 2011? At that time there were news of Govt. of technocrats. But the plan is not implemented. Now some hidden elements want to delay the elections. They want a care taker Govt. for a long duration. Wo chahtay hein k in politicians ny jitna b mulk ko loota hy in sy ye paisa wapis lya jaey. Is k baad honest people ki Govt. establish ho gi. is waja sy tu PML (N) walay pareshaan nazar atay hein kyn k wo tu apni bari ki umeed lagaey bethay thy. Tahir ul Qadri is still believing in the westernized version of democracy. And one thing which I have noticed is that we, as common people, perceive the rise and fall of personalities as portrayed in the media. Imran had the following in urban youth before Oct 2011, and there was nothing on the media, and then all of a sudden media gave so much hype. I believe our media is as corrupt as our current leaders. Leaders might, after so much looting, think of being nice and getting a face saving for the sake of coming to power again, but these media people, specially the anchors are there to stay and stay for a very long time, hopping among different channels. A thinking soul can clearly feel who is on a pay roll of whom. But, unfortunately our masses are buying the idea of Aman ka Tamasha, change in our founding slogan, Pakistan ka matlab kia, etc. 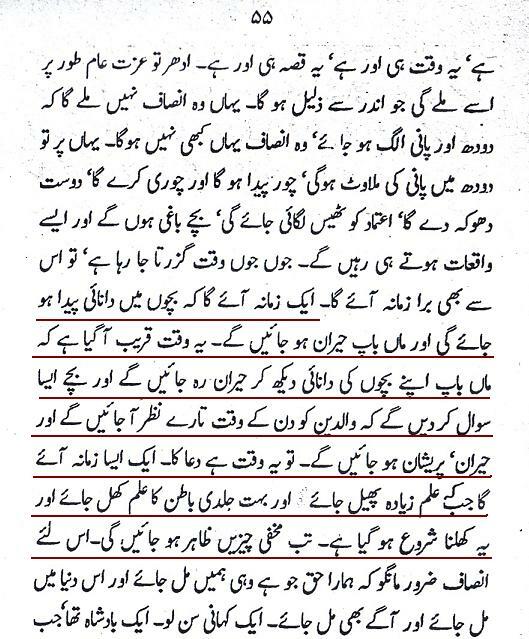 As said by Dr. Israr, the Dajjal could in fact be the one eyed camera of the modern world. Or a tool in the hands of Dajjali forces. TuQ sb. criticized the system, and I liked it, however, he fell away too soon, involving and holding talks with the same party leaders whom he didn't accept as being properly elected. There are a lot of contradictions that I see, why he waited for a good amount of 4.5 years of this govt., and came just a couple months before election? Why did he let the agony to prolong. I am sorry, if I have hurt someone, but these are the issues I find in him. Baktar bro, I am looking forward to your comments regarding Pervaiz Musharraf's meeting with Shykh Nizam. Well, the material of the meeting is mind-blowing and a matter of serious thought as no bazurg of his age can put all his reputation at risk! He made the case TO THE POINT. No IFs and BUTs.. Can Mush be Shah Khawar (ruler of the East)? After Dhu’l-qarnayn and Prophet Solomon (as), Allah promises a 3rd world dominion to His sincere servants in the End Times. Brother, I have been following insights at www.harunyahya.com since 2005 and have also got one of his books. I would just advise you not to follow the work of just one scholar in these times. Only when you study and research the works of different scholars, can you arrive at the truth. Even then, we should know that ahadith were compiled 200 years after the Prophet's (pbuh) demise. And we cannot give the exact time about anything. It's time to do practical things to save this country. How do you guys analyse "Meeting of Pervez Musharraf with Shaykh Nazim"?? You both have not commented anything on this yet. I am asking because I have noticed many of us still using abusive language abt Musharraf on internet/media and within friends circles. I notice nobody is commenting anything abt Shaykh Nazim's meeting with Gen Musharraf. Is it bcoz we don't believe in what Shaykh is saying or is it bcooz of some hidden 'maslehat'?? @ Faisal Nadeem, bro what's your opinion on this? It is a little sad but "no one" is on the horizon to come and lead the masses. It seems to all of you that there might be some sort of revolution on the corner but there is NONE. It might take at least 20 plus years before we can witness a change which will turn the tides to 180 degrees. If something will happen before that then it will be a "miracle". You must be asking why? because collectively speaking zulm and munafaqat is penetrated in every layer of our society from rich to poor. Rub Taala aisay logon ka saath nahi deta.